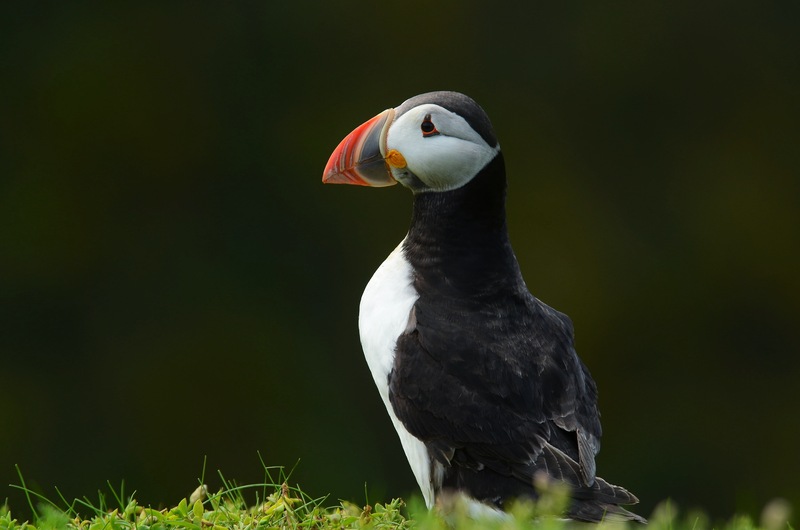 Although not the official Danish name, Søpapegøje is the name used by most Danes for the Atlantic Puffin, a fantastic looking little seabird of the Northern Atlantic. The Atlantic Puffin is a seabird species in the auk family that feeds primarily by diving for fish, but also eats other sea creatures, such as squid and crustaceans. It is the only puffin species which is found in the Atlantic. It’s a cute bird, right? So it came as a shock when I stopped off in Iceland a few years ago to catch a connecting flight to Seattle. A shock, because there was an advertisment for a premium restaurant in Reykjavic, the capital city of Iceland, which served the finest lamb, steak and PUFFIN! Doesn’t have the same appeal as the good old domestic chicken to me! However I do understand the connection some cultures have with maximising the “fat of the land and sea”. OK, Atlantic Puffins are hunted and eaten, fact, but the effect of this on populations is insignificant compared to the many other threats, e.g. predation by gulls and skuas, the introduction of rats, cats, dogs and foxes onto breeding islands, contamination by toxic residues and drowning in fishing nets. So, what’s in a name? The above photo’s were taken on the island of Skomer, off the coast of Wales in the UK. Skomer is sometimes called Skalmey. The name Skalmey is of Viking origin, coming from two words “skalm” meaning a short sword, or cleft or cut, and “ey” meaning island, thus Skalmey or Cleft Island, probably referring to the fact that the island appears almost cut in two, which it is for those not familier with the island. 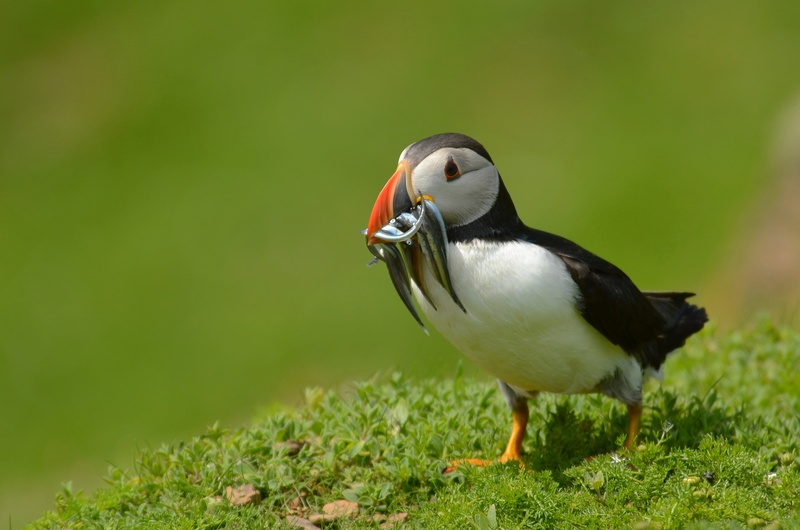 Likewise, the island of Lundy’s name is derived from the Norse word lunde for the puffins that nest on the island. Puffins also appeared on the coins and stamps of the island and a value expressed in ‘Puffins’. I’ll have two pints please. “That will be two and a half puffins”. Maybe a few lines for the next Pirates of the Caribbean movie. If you where wondering, the official name of the søpapegøje in Denmark is or course the Lunde! By the way, there are some 5 million breeding pairs in Iceland in a given year, so plenty to go around.